The fact that we know there are more people getting bent out of shape than there are actual iPad Pros in that state. 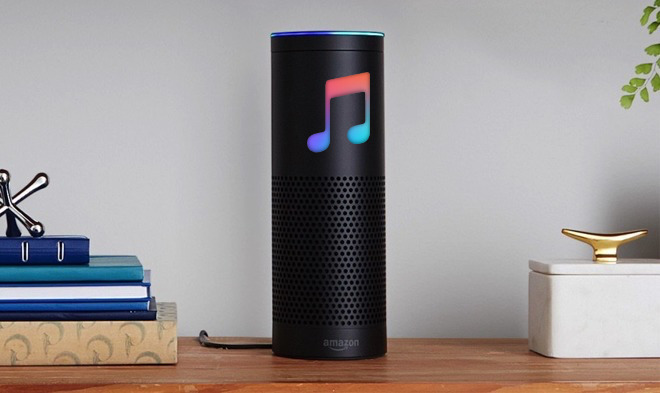 How Apple Music is now on Amazon's Alexa devices but we understand it is eventually coming to non-Amazon ones. Are you going to upload it to Tunein or you are done with it? Always a pleasure guys! I appreciate the effort. I think the pushing ads thing is just another sign of 'old' vs 'new' Apple. The new Apple is more corporate, so job 1 isn't UX anymore but profit. That isn't to say quality, UX, etc are now irrelevant, but that they take a back-seat to profit when push comes to shove in the many departmental meetings that are part of corporate life. Or, as one of my good friends (who did consulting to a number of big companies) put it.... big company = stupid. Maybe it was inevitable as they've grown so much, but I think that's what we're starting to see. I had been hoping Apple's 'culture' was strong enough to overcome that, and to some extent, I think it has in comparison to the average mega-corporation. But, I don't want average, and I'm certainly paying for more than average. We have never uploaded the podcast to TuneIn. They were pulling it from the RSS feed and have stopped for reasons we can't determine. I have tried to contact them, and tried to upload it to them as a new podcast, but they haven't responded or acted on that yet. Regarding the battery discussion last week, it has become difficult to talk about batteries being 100% full or discharged in consumer goods. It’s one thing if you use them in a flashlight which doesn’t have intelligence. In something like an iPhone or iPad I suspect that the device only allows you to use some middle range in order to extend battery life. It would be a good question for a contact at Apple. Toyota does this on the Prius. The dashboard has an indicator that shows fully charged or discharged. In fact, it only charges to 80% of capacity and discharges to either 20% or 40% ( forgot which it is). Toyota guarantees the battery for 8 years. Mine is 12 years old and still in good shape. Given that Apple knows a lot about batteries and has circuitry dedicated to controlling the battery they probably do something similar.